For many centuries mystics have attempts to control the four powers of the elemental system, in an effort to experience its energy, understand its power, and use this power for their own ends. However, it is also said by many practitioners that Elemental Magick is considered one of the most difficult but natural Magickal Arts to master. However, in this eBook the author instructs the reader how to contact the Elemental Spirits is a safe manner, under the guidance of the archangels. 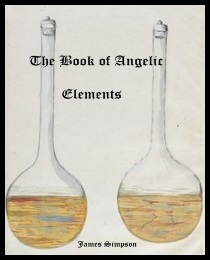 True to the previous works from James Simpson, this is a practical eBook of Elemental Magick. James covers; The structure of the Element, Elemental Spirits, Elements in the practice of Angelic Magick, practical spells covering Earth, Air, Fire and Water. And finally he presents a Master Ritual for your to use to contact the Elemental Spirits. So,when you take-up this work you will be working with the oldest recognized pure entities. However, as you will be using these powers through the protection of the archangels, you may work with confidence. As with all the eBooks in the Archan Path Series, the philosophy behind some of the traditional magickal practices, and in this case the composition of the Elements should be of no concern to the practitioner as these are practical eBooks. not philosophical tomes. "Angels are never too distant to hear you." For all things come from the elements, be it in their purest state, or combinations there of. The elements make up all created things, be it stones, metals, plants, animals, angels, daemons, gods, devils, fiends, phantoms, as well as all other created things. Be it, within the infernal, terrestrial, or celestial realms, be it the spirit, chaos, or life, the elements lie therein. (Suba, High Magick: The Elemental Adept).